You can hear him on Spotify. Peter Ewers is a German organist, musicologist and psychotherapist. He served as assistant organist at the Paderborn Cathedral from 1991 to 1996. Posted in Organist. Tagged Bandcamp, Book, German, La Madeleine, Paderborn, Paris, Peter Ewers, Recordings, video. Gereon Krahforst was born in 1973 in Bonn, Germany. He studied composition, church music, piano, and music theory at the university for music in Cologne, musicology at the University of Cologne and received his diploma and masters degree in organ in Frankfurt. He has studied privately with Markus Karas, John Birley (before the university studies), and then with Clemens Ganz, and Daniel Roth. During and after those studies, he participated in masterclasses with Marie-Claire Alain, Thierry Escaich, Peter Planyavsky, Jon Laukvik (ancient music), Guy Bovet, Wolfgang Seifen, Tomasz A. Nowak, Franz Lehrndorfer and many others. Other significant mentors are Petr Eben and professional friendships with Jean Guillou, Marie-Louise Langlais and Stephen Tharp. At the age of 26, he was appointed director of music and organist at the Minster basilica in Moenchengladbach, Germany, and at age 27, he worked as director of music at the Cathedral of Minden, Germany. At the age of 29, he was appointed cathedral organist at the Metropolitan Cathedral of Paderborn and lecturer (Gregorian Chant) at the theological seminary of Paderborn. 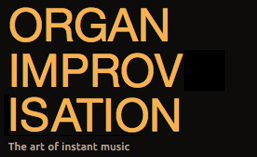 In 2004, he was appointed lecturer and instructor of organ at the University of Music in Hannover. 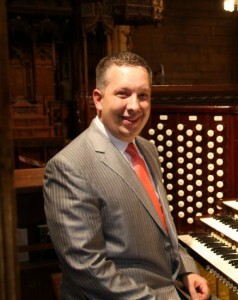 In 2011, he moved to Spain where he was organist at the Incarnation Church of the world-famous town Marbella at the Costa del Sol in Andalucia, playing the nationally significant “Órgano del Sol Mayor”; since August 2012, he has been cathedral organist and associate director of music at the Cathedral Basilica of St. Louis, Missouri, USA. Posted in Organist. Tagged Andalucia, Basilica, Cathedral, Clemens Ganz, Cologne, Costa del Sol, Daniel Roth, Franz Lehrndorfer, Gereon Krahforst, Gregorian Chant, Guy Bovet, Hannover, Jean Guillou, John Birley, Jon Laukvik, Klais, Marbella, Marie-Claire Alain, Marie-Louise Langlais, Markus Karas, Minden, Missouri, Moenchengladbach, Paderborn, Peter Planyavsky, Petr Eben, Spain, St. Louis, Stephen Tharp, Thierry Escaich, Tomasz Nowak, Wolfgang Seifen.